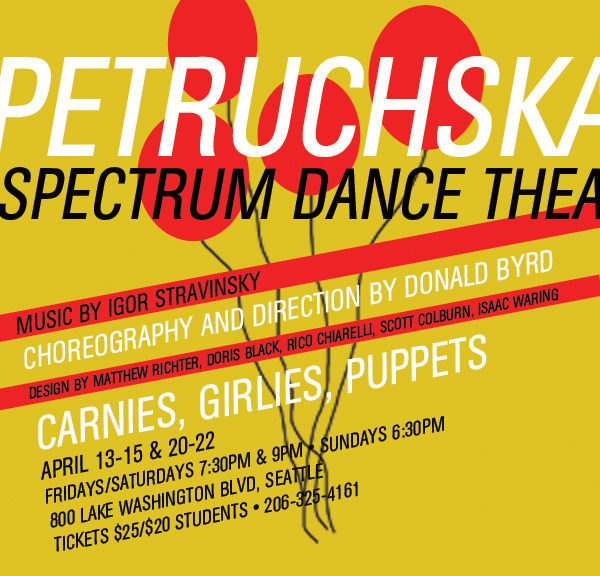 Choreographer Donald Byrd asked me to remix tracks for Spectrum Dance Theatre’s Petruchska. He specifically wanted a carnival-girlie-show-feel that had a groove. Here’s what I came up with.